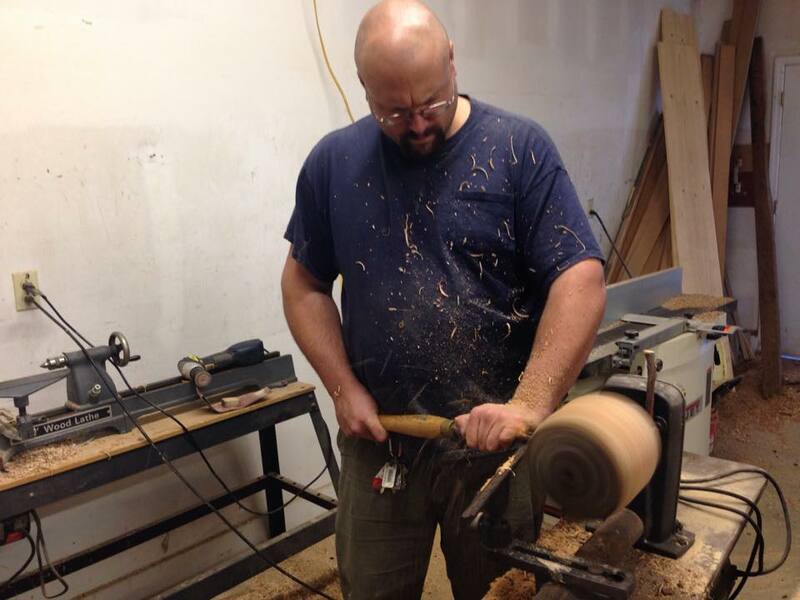 Well, I am almost caught up with blog posts. I never thought that would happen this year, but it is a moment that is rapidly approaching. 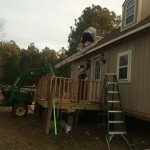 The month of November was filled with work on a 12×24 building on the farm to be used as an office and workshop. I didn’t take any pictures of the beginning of the project, the bones of the structure were already in place when I made it back to the farm from North Dakota. I will post a few pictures of the completed building in the near future. I happened to be in the building painting the trim and listening to a podcast when I noticed I had an observer high above. 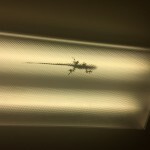 The light fixture had a resident pest control specialist, I actually watched this little guy eat a fly that ended up in the fixture. 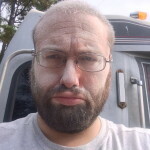 I also determined I do not like sanding drywall, it is not fun at all. 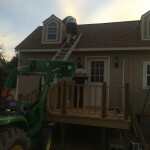 Here is a method I came up with to paint the sides of the dormers. I am not a fan of heights, so walking around on a roof with this pitch isn’t an option. 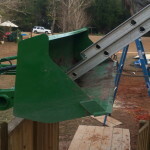 The tractor bucket worked as a perfect support for the ladder, holding it at the correct angle and allowing me to be confident the ladder had no way to kick out. 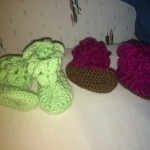 Chas also started a new obsession with crocheting baby and adult booties. 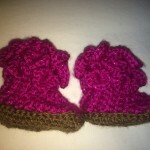 She is making several pairs each week, we are definitely going to have to find an outlet for these before we drown in booties. I am a good enabler though and have been purchasing bulk lots of yarn on Ebay for her to keep her crochet hooks humming. 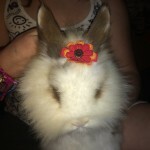 Our furry critters always have something going on in a house full of girls that love playing with them. 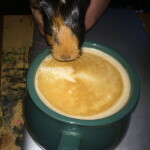 The bunnies often get makeovers, but I had to share some espresso with Kitty Pig (the newest of our guinea pig babies). He didn’t really care for it, but seemed to enjoy sniffing the foam on top. 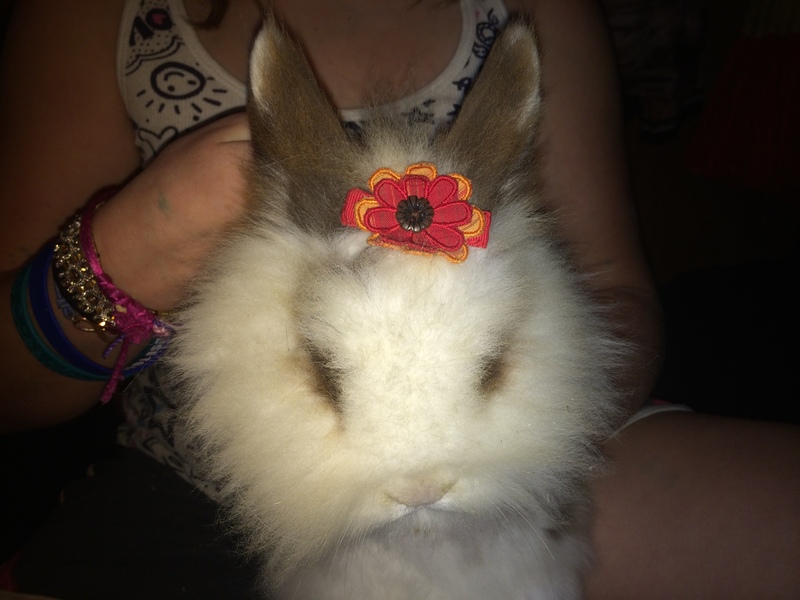 This entry was posted in WWOOFing on December 21, 2014 by Jody.